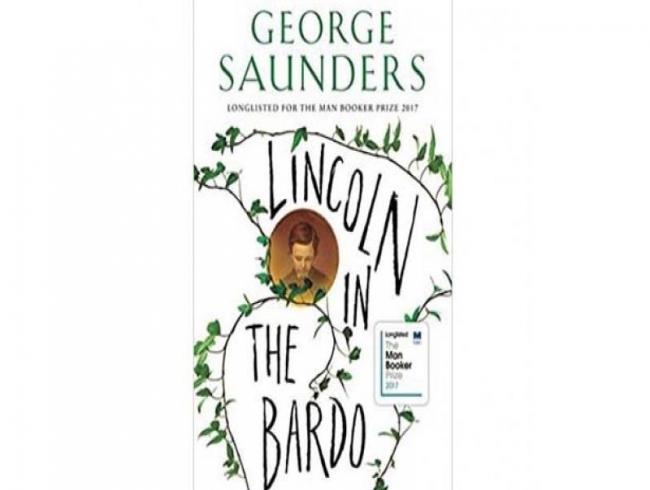 Lincoln in The Bardo, winner of the 2017 Booker prize and recently nominated for the Golden Man Booker prize, is based on a historical fact about the death of William Wallace “Willie” Lincoln, the 11-year-old son of the 16th President of the United States, Abraham Lincoln. The boy died of typhoid fever a few days after Lincoln hosted a party in the White House, inviting criticism from his contemporaries. The novel opens in the Bardo, an interim state of limbo between life and afterlife, as described in Tibetan Buddhism. The story welds historical fact with soaring fictional imaginings when Willie arrives in the Bardo and meets all the other trapped souls from the same cemetery. What follows is a narrative that feels like a script, and alternates between the voices of the ghosts in the Bardo and quotes from letters, dairies, newspaper articles by the political commentators of the day, recording Lincoln’s presidency and the crises of the time. Initially, the reader struggles to make sense of the cacophony of different voices of fictional dead people to distill a narrative. Eventually, a few voices standout, notably those of Hans Vollman a printer who dies at the age of 46, and Roger Bevins 111, a young gay man who committed suicide after being rebuffed in love and thirdly Reverend Everly Thomas, the only one who acknowledges that he is dead and damned for what he did or did not do. He is unaware of what his sin was. Along with these principal characters, are a chorus of other voices, all 166 of them, bringing to the tableaux stories of pain, greed and regret. Their states are frozen in limbo, the rot cast by the moment of their deaths, and their beings decanted to their essential anxieties and flaws. Whilst this may sound ghoulish at times, there are also moments of laugh-aloud hilarity. Willie is finally set free in a frenzied, climatic exit and with the help of all the others and leaves the Bardo, passing into the afterlife and Lincoln is able to continue his work for the nation. “These and all things started as nothing, latent within a vast energy-broth, but then we named them, and loved them, and, in this way, brought them forth. And now must lose them,” Roger Bevins III is quoted. Sauders is a professor at Syracuse University, who has won many awards for his work.